Welcome to Sandpiper, Waterloo, Isle of Skye. 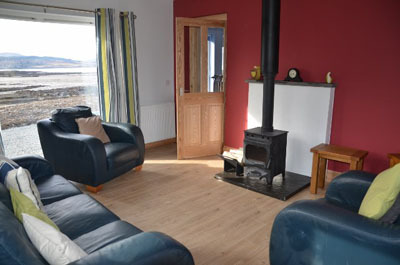 Come and stay in this newly built luxury cottage on the shore at Waterloo, Isle of Skye. Luxury accommodation in our brand new cottage. Two bedrooms sleeping up to 4, with cot and highchair available. Two bathrooms - one en-suite. Situated at the water's edge with shore access. 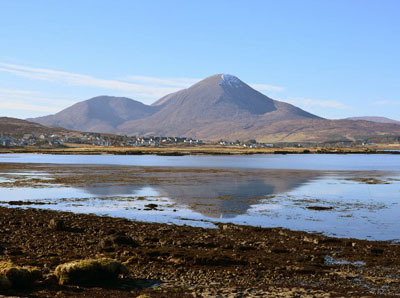 Spectacular views of sea and mountains, ideal for wildlife watching and photography. Wood-burning stove for cooler evenings. Accommodation all on one level with no steps: ideal for those with mobility difficulties. Choice of payment methods including online credit and debit card payments. The shore directly across from the cottage. The cosy lounge with wood-burner.